It's that weird time of year where it's not yet full blown fall, but we are all ready to start dressing like it. I'm so ready for cooler temps & starting to work Fall pieces in with my end of Summer wardrobe. 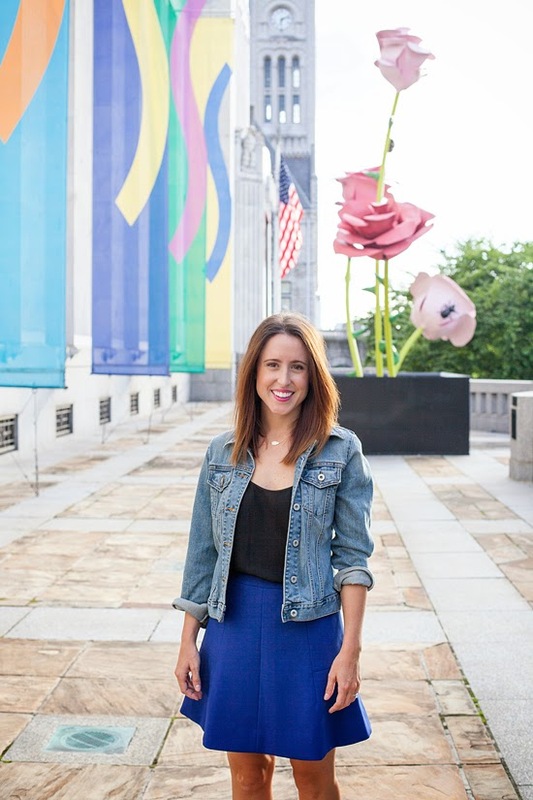 Check out how the Bloggers Who Budget transition from Summer to Fall, for less! 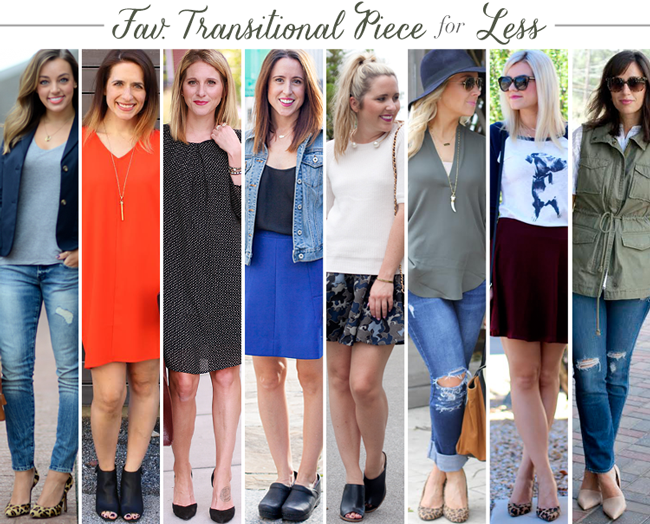 What is your key transitional piece? Love that skirt! Always throwing on my denim jacket too. cardigan are my go to item. I love that skirt, it is gorgeous! I'm with you on the Danskos - as a future nurse I have a secret love affair with mine! 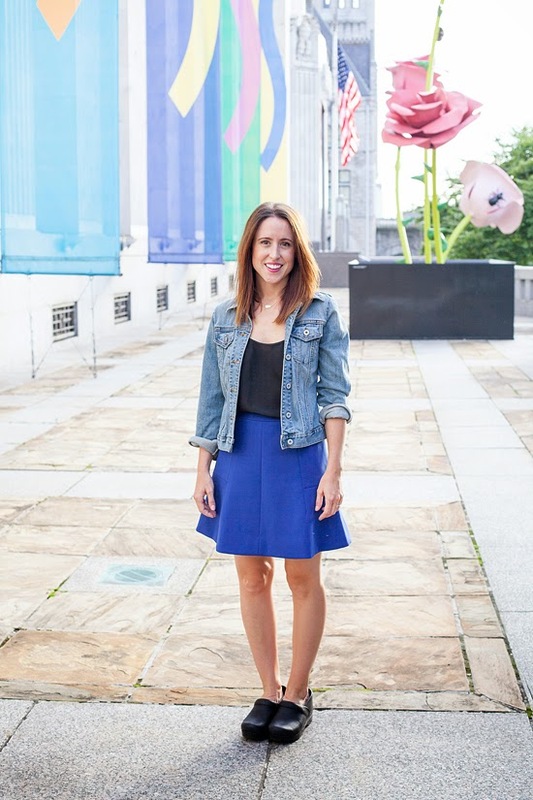 i love your blue skirt! 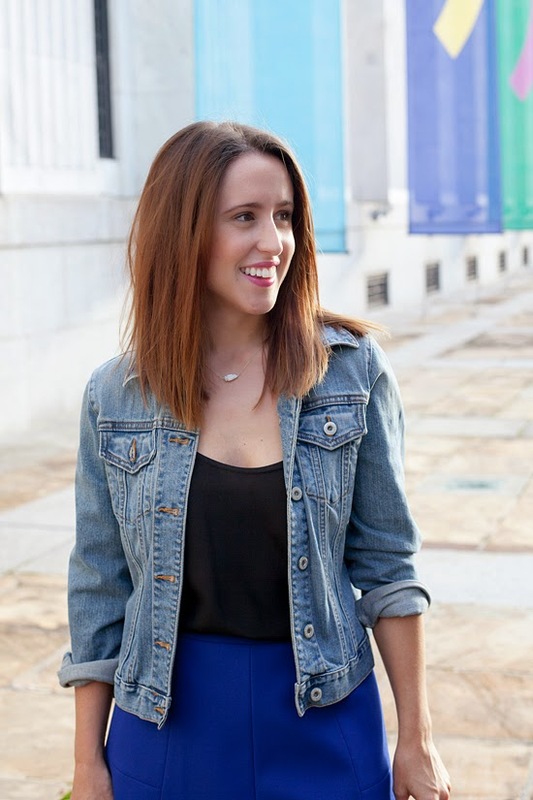 Denim jackets are great transitional pieces. I say bring on the cooler temperatures so I can break out all of these sweaters I have been buy. love her denim jacket!!!!! xO! Great outfit! Denim jackets are a great transitional piece. One of my favorite transitional pieces is a moto jacket! This skirt looks beautiful on you! Love the denim jacket~ i don't think it will ever be out of style! I have that skirt and love it, so perfect with the denim jacket! As a nurse I completely understand the need for practical shoes! I am obsessed with Sanita Clogs! I find them to be a bit lighter and a little more comfortable than my Danskos! And I just ordered a new pair: black with white polka dots!! !